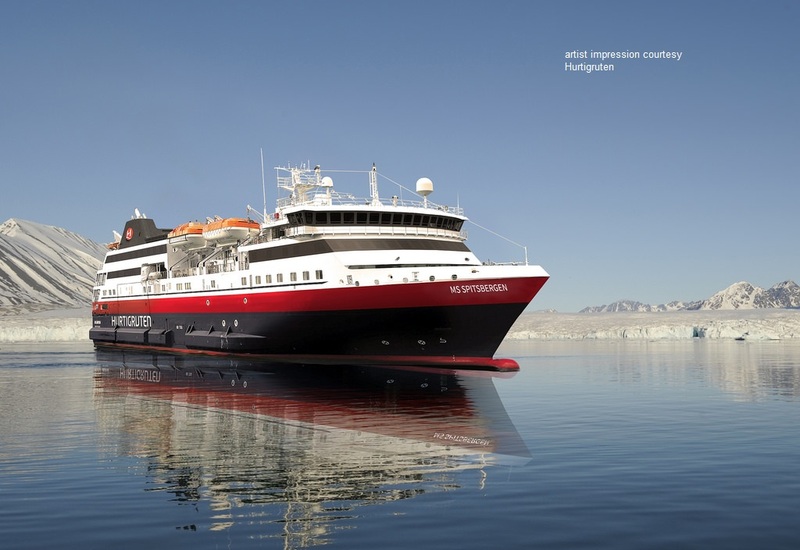 July 8-2016 Hurtigruten christened its new ship, the MS Spitsbergen, at a ceremony in Svolvaer, Norway earlier this week, with thousands of people coming out to witness the event. 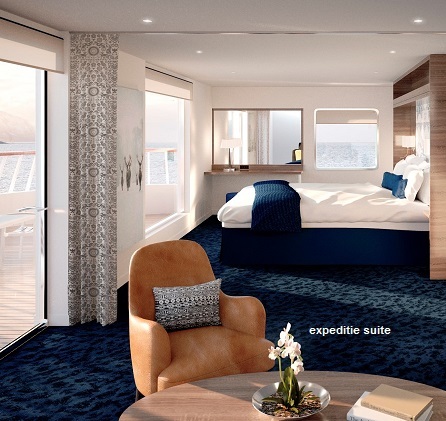 The ship will introduce new adventure routes for the company in Iceland, Greenland and Canada for the 2017/2018 season. Atlantida was built and completed in 2009 for Atlantico Line for their service to/from Portugal - the Azores. But Atlantico refused delivery because the ship failed to meet speed requirements. 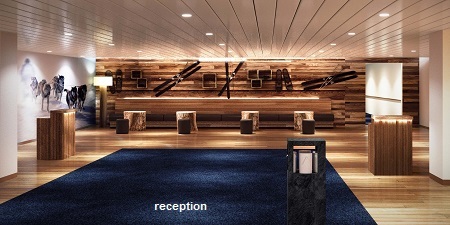 So she laid-up for sale, for 5 years until Portugese Douro Azul purchased her on 19.09.2014 for Mystic Cruises. 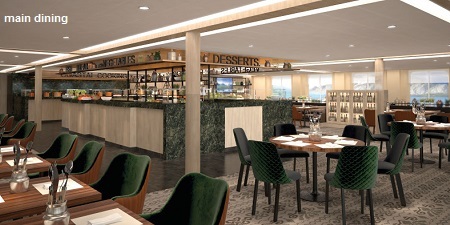 Conversion work was planned to take one year and the not yet renamed ATLÂNTIDA was to be positioned on the river Amazon for a series of 7 & 14 day cruises between Manaus (Brazil) and Iquitos (Peru) with calls at Tabatinga (Colombia) with a minimum daily rate of USD 500. The purchase contract was signed to the liquidators of Viana Yards and the ship paid in full by Douro Azul own cash reserves of € 9 million. A deal to finance the rebuilding at Viana is already contracted to Portuguese bank Caixa Geral de Depósitos ammounting to € 6 million. 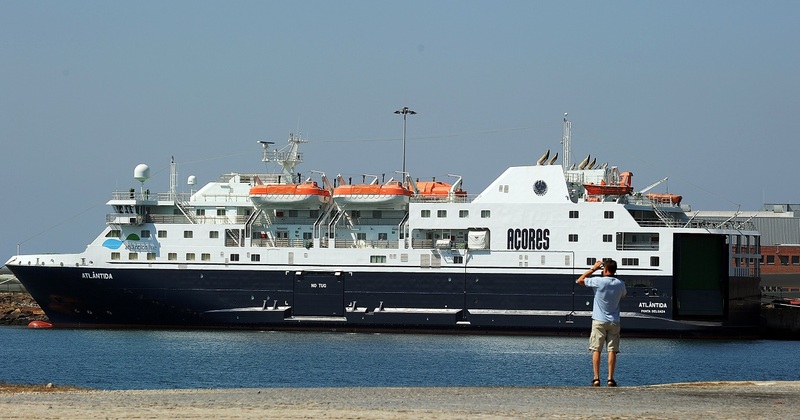 The former ATLÂNTICO Line ferry was refused by the Azores Government company in 2009. ATLÂNTIDA generated a loss of 70 million Euros to Viana Yards and helped the state owned shipyard to close doors. 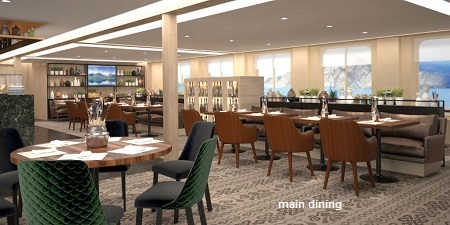 The plan was to convert her with 156 berths to an expedition cruise ship for the Amazon River. 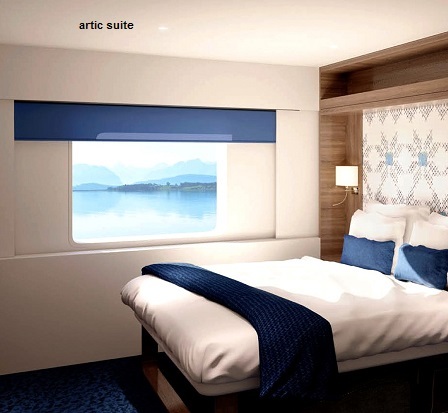 These plans never materialised and, in early-2015, the ship was re-advertised for sale. 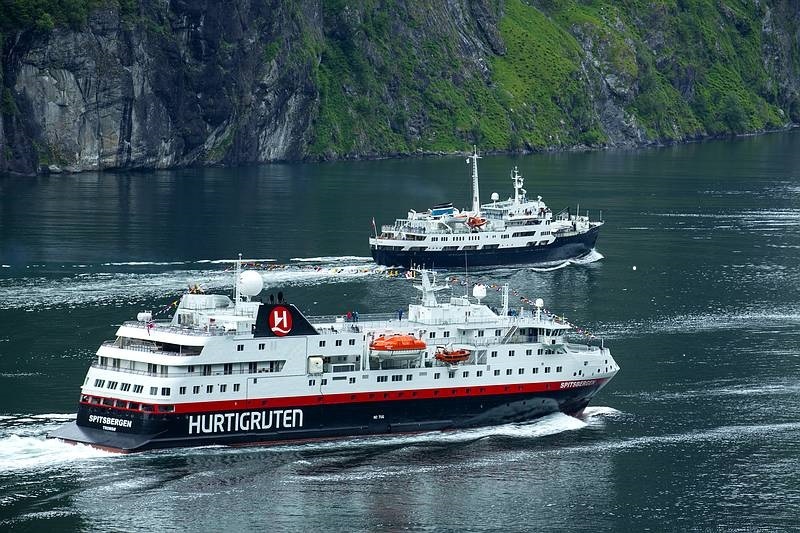 I discovered that Hurtigruten had been looking at her for some weeks with a view to buying and converting her. 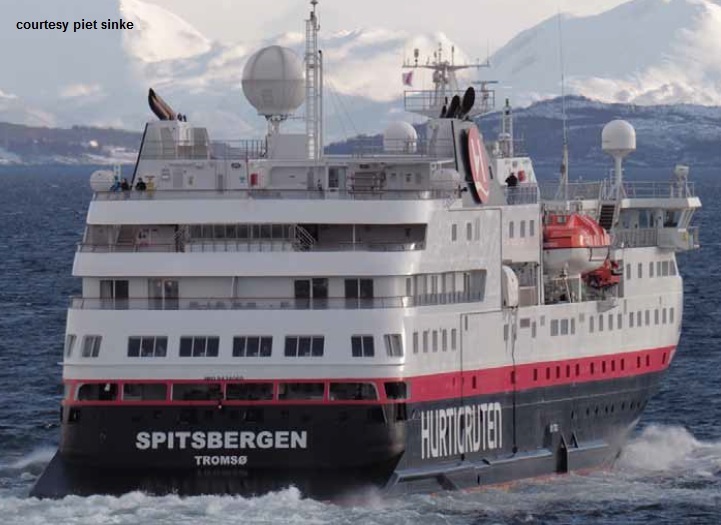 At that point it seemed clear quite likely Hurtigruten would go for buying and rebuilding Atlantida, having paid a 10% deposit of the agreed purchasing price to secure her and having engaged Knud E. Hansen to look at a conversion of the ship to make her usable in the Hurtigruten coastal traffic Bergen-Kirkenes vv.The conversion to be done at Landskrona Verft. 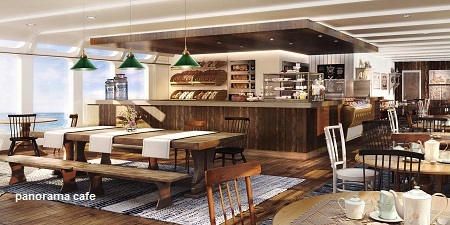 Hurtigruten have described plans for a total conversion before service begins. 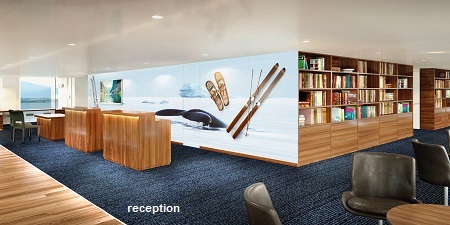 This includes adapting it for polar waters, strengthening her hull to meet ice-class classification, refitting accommodations and public spaces for 320 passengers in 180 cabins, adjusting the power plant to meet higher standards, and modifying both her quarter-ramp and side door to meet Hurtigruten requirements. 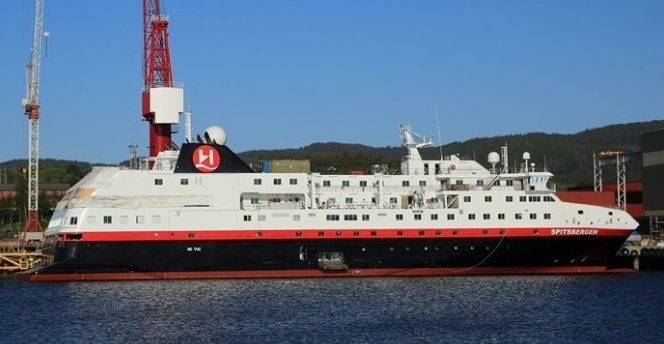 The ship, which is temporarily renamed Norway Explorer, will replace on coastal route the Midnatsol, which will join expedition ship Fram in Antarctica. 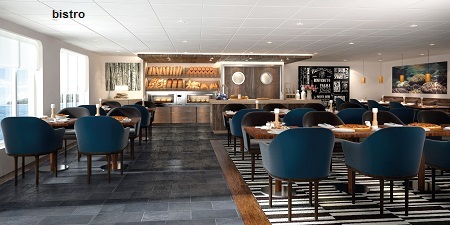 Midnatsol will join Fram for the 2016/17 cruise season. 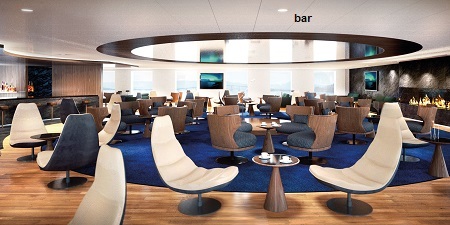 The above information is supplied in part by Mr. Alan Dumelow - CEO of Cruise Project. He is a valued visitor to this website and delivers several times a contribution.